Voting ended on May 29, but it could be few weeks before it’s known if Metro Vancouver residents agree to financially support a transportation infrastructure investment program. The transit plebiscite asked Metro Vancouver residents if they were in favour of a 0.5-per-cent provincial sales tax increase within the region to pay a one-third share of the 10-year, $7.5-billion program. 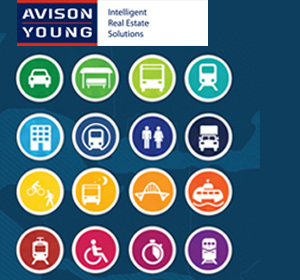 The outcome could have wide-ranging repercussions, which prompted Avison Young’s Vancouver office to compile a research report providing a commercial real estate perspective on public transit and transportation infrastructure investment within Metro Vancouver. “It’s important to the commercial real estate industry in the same way that it’s important to the construction industry and a variety of affiliated services,” said Avison Young research vice-president Andrew Petrozzi. “A rising tide lifts all boats. “We’re involved in selling and leasing commercial properties that follow residential development, whether it be retail space or office space. When you have a stable source of funding for public transit, developers are able to plan projects and execute them on a timeline that they know is going to happen. While the plebiscite is non-binding, Petrozzi believes public support for a stable source of funding dedicated to public transit and transportation infrastructure is crucial, especially since municipal politicians, business groups, and environmental, labour and non-governmental organizations are all onside. A majority of 50 per cent plus one will be considered decisive. A list of proposed transportation investments, upgrades and services that are viewed as priorities required to keep Metro Vancouver moving include: a new four-lane Pattullo Bridge; maintaining and upgrading roads; expanding capacity of existing rail lines; additional light rail transit extending further from the core; increased and expanded bus and SeaBus service; 2,700 kilometres of bikeways; and expanded public transit customer service programs. In addition to being a key driver of economic activity and development, environmental and health benefits also come along for the ride with extensive public transportation systems by taking cars off the road and reducing pollution and congestion. Research shows congestion costs Metro Vancouver residents $487 million annually, not including almost $600 million in lost business revenue and a $340-million reduction in regional gross domestic product. An additional 1.4 million residents are expected by 2041, which could result in 700,000 additional vehicles on the road. Other economic benefits of public transit, according to the Canadian Urban Transit Association, include: faster goods movement; personal time-saving; improved access to labour; revitalized properties; job creation; increased labour mobility; and fewer traffic collisions. Metro Vancouver’s Regional Growth Strategy, approved in 2011, called for the development of “complete communities” designed to support walking, cycling, public transit and healthy lifestyles. The development industry has recognized the importance of projects being linked to rapid transit and has contributed millions of dollars in recent years to upgrade old rapid transit stations and build new ones. Studies have also indicated that property values and lease rates increase in areas around rapid transit service, with buses having less of an impact. Transit-oriented development is taking place around SkyTrain nodes in the downtown core and suburbs, including projects in Burnaby and Surrey and on the seven-station, 11-kilometre Evergreen transit line that’s expected to open in the fall of 2016 to connect Coquitlam to Vancouver via Port Moody and Burnaby.